Apple Music is a popular streaming music service featured with DRM protection. It provides three-month free trial and charges the subscribers monthly when the trial period expires. There are three membership tiers: $9.99 per month for the individual membership, $14.99 per month for the Family membership (for up to six people to share using Family Sharing), and $4.99 for the student membership. Due to the DRM protection, Apple Music can only be enjoyed with Apple Music App within free trial or subscription period. Once the subscription is cancelled, all the Apple Music won’t be allowed to be listened to. 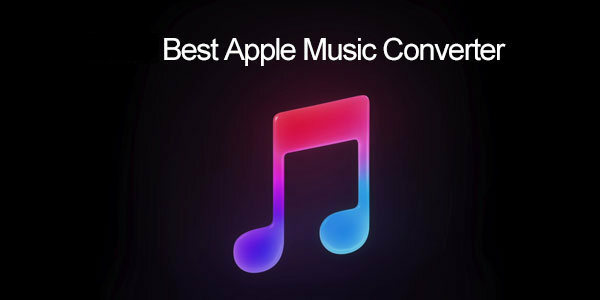 Therefore, many Apple Music users turn to Apple Music converter for help. However, it’s not an easy job to choose a good program, as there are a great many diversified Apple Music converter on the market. Here we’ve already selected the best DRM removal tool in 2018 for you – NoteBurner iTunes DRM Audio Converter (Mac & Windows), a flagship product under the well-known brand of NoteBurner. It is an all-in-one converter, integrated the functions of Apple Music Converter, Audiobook Converter and iTunes M4P Converter. After the conversion, you can enjoy Apple Music on any devices or transfer them to anywhere you like. Over the years, NoteBurner iTunes DRM Audio Converter has gained popularity and great reputation for its' powerful softwars and excellent after-sales service and its' customer base is still on the rise. As mentioned above, NoteBurner iTunes DRM Audio Converter supports both Mac OS and Windows, and here we will take Mac OS as an example. Now let's find more details about how to remove the DRM from Apple Music with the best Apple Music DRM removal tool. Click button "+" on the upper left. A pop-up window will show you all the downloaded Apple Music. Select the songs you like for converting. Now you have successfully remove the DRM from Apple Music with the best Apple Music Converter in 2018 - NoteBurner iTunes DRM Audio Converter. Go to the output folder you customized in Step 3 and you can transfer the converted Apple Music to anywhere you like.